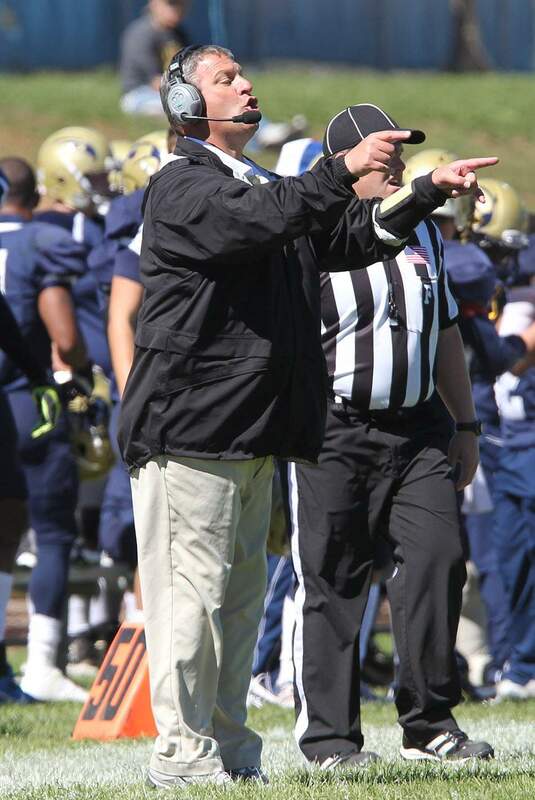 Ed Rifilato will spend a 13th season on the Fort Lewis College sideline when he returns as the Skyhawks’ defensive coordinator in 2019. 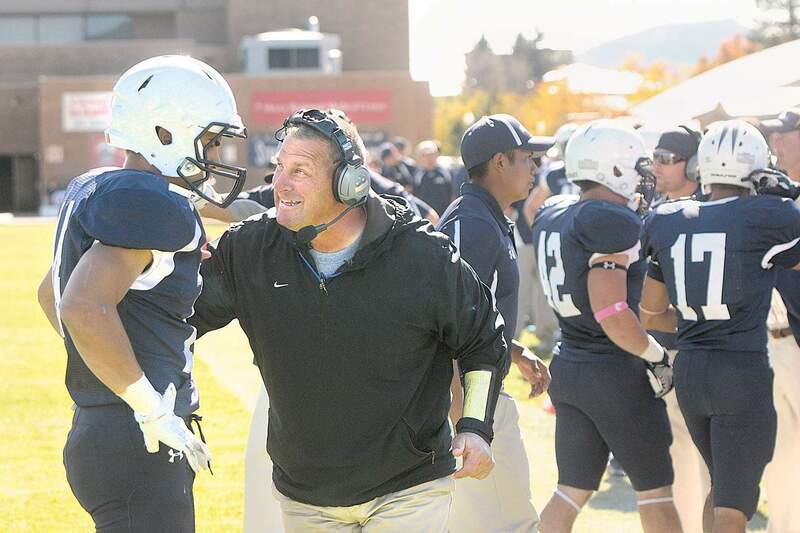 Ed Rifilato can’t get enough of Fort Lewis College football, and the Skyhawks’ athletic department once again showed how much it values Rifilato when he was named the team’s defensive coordinator during a coaching shuffle Wednesday. Rifilato last was on the FLC sideline as a linebackers coach during the 2017 season. In 2016, he took over as the team’s head coach to replace John L. Smith. It was Rifilato’s second stint as the Skyhawks’ head coach, and FLC went 4-7 overall and 3-7 in the Rocky Mountain Athletic Conference. He resigned after the 2016 season because of health reasons but remained on the staff of Joe Morris in 2017. Morris announced his resignation as head coach of FLC on Wednesday after two seasons in which the Skyhawks amassed a 6-15 record. Offensive coordinator Brandon Crosby was promoted to interim head coach for the first time in his college coaching career, and the veteran Rifilato will join his staff. Twice the teams head coach, Ed Rifilato will be Fort Lewis College’s defensive coordinator in 2019. Rifilato was a scout team coach of Dixie State during the 2018 season. 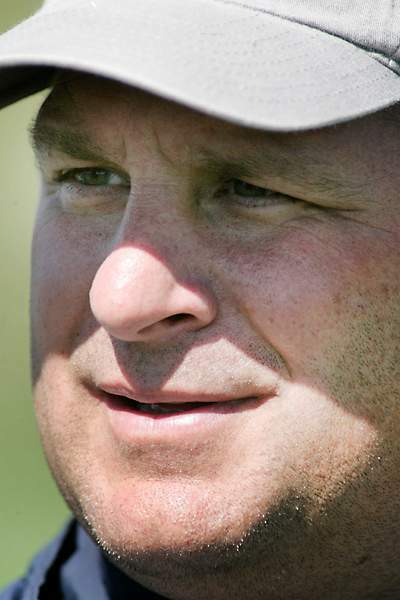 Now, the 55-year-old will return to Durango and FLC, where he has spent 12 seasons of his nearly 30-year coaching career. Rifilato will reunite with many of the players he helped recruit to the Skyhawks. He was already in Southern California on a recruiting trip Wednesday afternoon. “Rif’s experience here and helping a new guy with Crosby’s strengths I think is gonna be a really strong team,” FLC athletic director Barney Hinkle said. Rifilato was the head coach of FLC from 2004-09. Combined with the 2016 season, his teams amassed a 26-48 record, including 18-32 in the RMAC. He coached the 2006 team to a program-record seven wins and won the Dixie Rotary Bowl, the program’s only postseason victory. Rifilato also has head coaching experience at New Mexico Highlands. Rifilato, whose wife Kelley coached volleyball at FLC from 2013-17, played for Smith at the University of Idaho and was part of Smith’s staff at Louisville. He also was the defensive coordinator at Idaho from 2000-01. Rifilato returned to FLC in 2012 and remained on Smith’s staff as the defensive coordinator during Smith’s three years at FLC. After one year away of the full-time grind of coaching, Rifilato is ready to get back to scheming defenses against the high-powered RMAC offenses. FLC has been known for its tough defense in recent years. Last season, the team ranked fourth in the RMAC in defense, as it allowed opponents 422.4 total yards per game. FLC ranked third against the run and seventh against the pass. “I like a good chess game,” Rifilato said. “I did miss that part, and it seemed like I was getting really old not coaching as much. I’m looking forward to getting younger again.